Upgrade to Option Plus for more privileges and services in Economy Class. 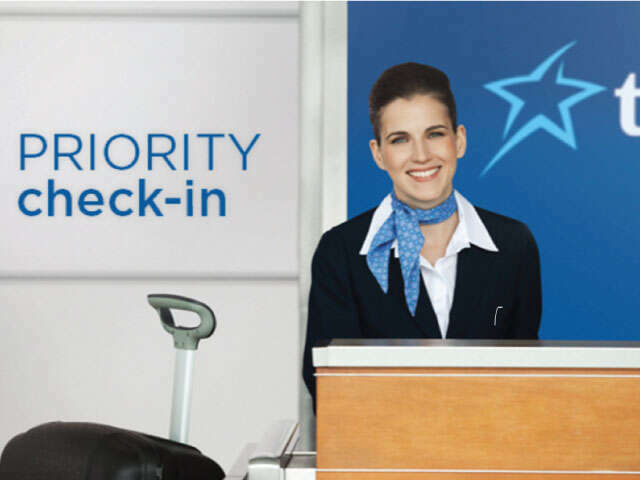 Benefit from standard seat selection with your booking. Check in at a dedicated counter. (With the exception of flights to/from Haiti). Be among the first to board the plane and settle in your seat. Be among the first to get your luggage at destination. Receive small extras for optimal comfort on board. Exceptions apply on some routes.